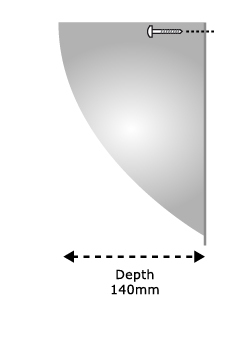 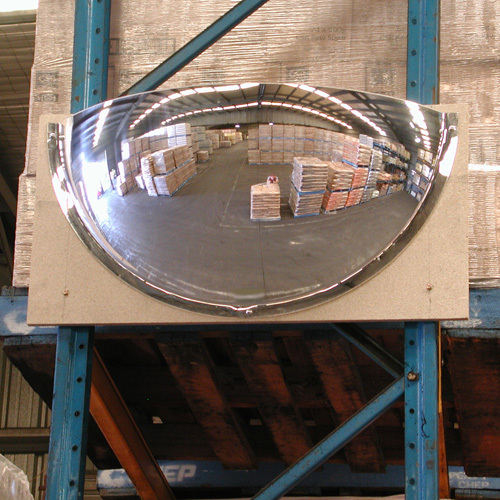 The 600mm wall mounted half dome mirror is very effective at the end of T-Junction intersections to allow two-way vision both left and right. 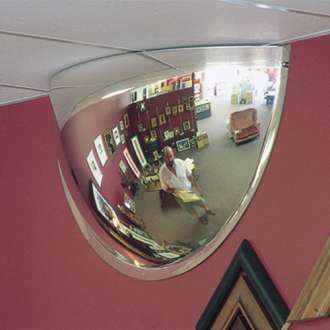 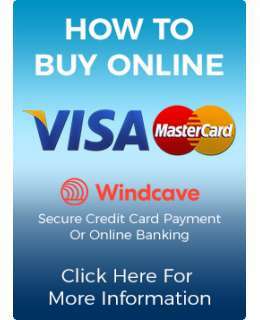 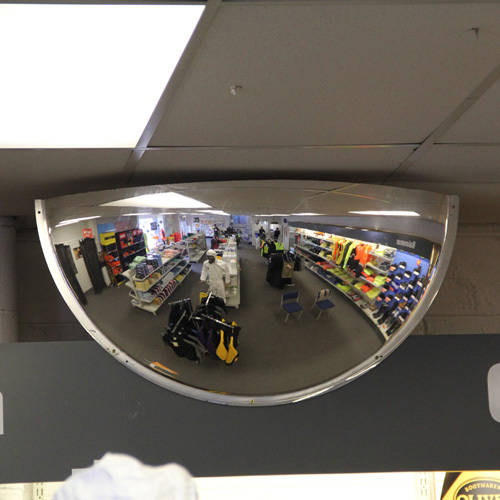 The half dome mirror can assist staff in retail stores when positioned at the end of shopping aisles where shelving can create blind spots. 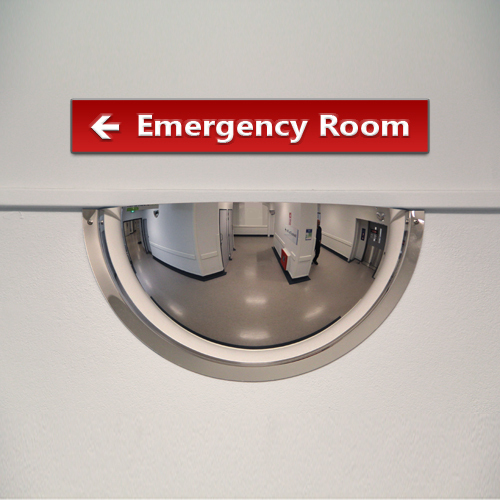 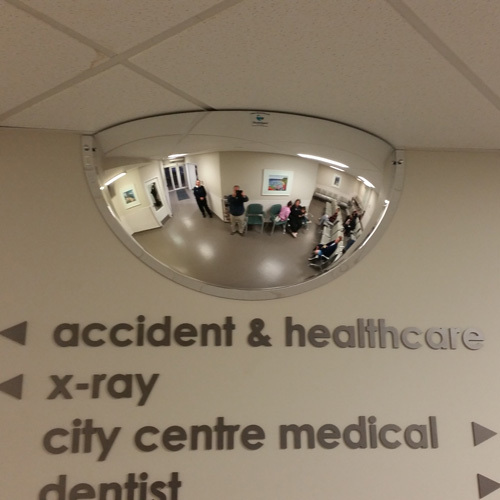 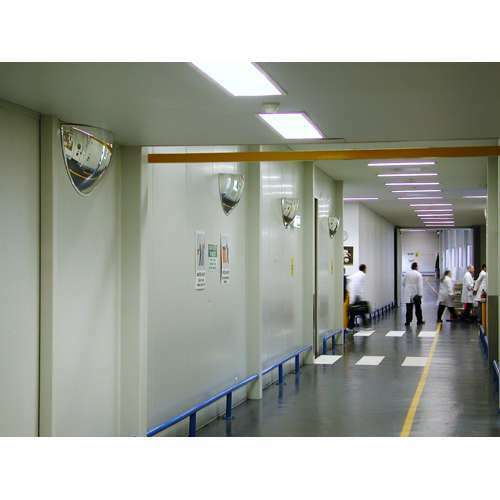 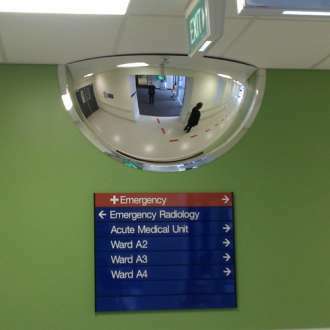 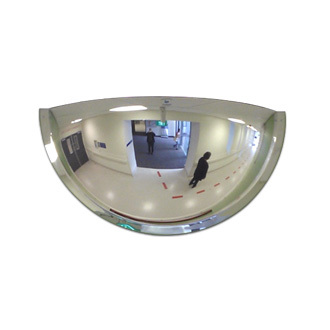 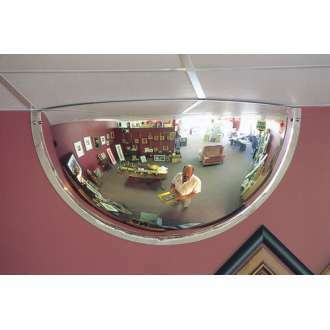 For safety in hospitals, schools, and warehouses, a half dome mirror will significantly reduce the risk of accidents at busy corridor intersections. 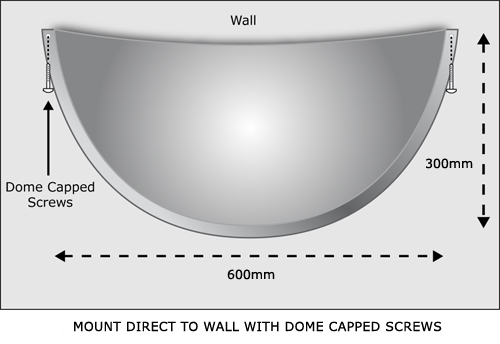 Dome Capped Screws are included.